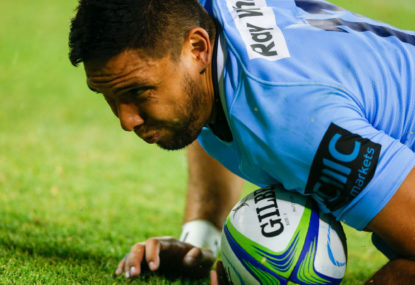 Waratahs Nick Phipps and Curtis Rona will both leave for the northern hemisphere come the end of the 2019 Super Rugby season. The pair have both signed two year deals with English club London-Irish. Phipps said the decision to the leave NSW had been a difficult one, but that the timing was right to make the move. “It was a really tough decision to make the move away from New South Wales. I’ve loved my time in the sky blue jersey and I’ve got so much pride for the teams I’ve been lucky enough to represent, from schoolboys to club as well as for the State and the Wallabies,” said Phipps. “I wouldn’t be in this position without the people that I’ve met and that have helped me along the way. All the volunteers, the coaches, the administrators, they have all supported me and I couldn’t be more thankful. “It’s a really big year ahead with the NSW Waratahs and the Wallabies though, so I’m solely focused on throwing everything I’ve got into this Super Rugby season. Like Phipps, Rona made it clear that although he would be leaving the Waratahs at the end of the year, his top priority was to focus on achieving team success in 2019. “My focus at the moment is to further improve my game and help our team achieve success in Super Rugby this year. I am excited about the season ahead because I know what we are capable of. I cannot wait for our first competition game and see a full house at Brookvale Oval,” said Rona. “I have made many friendships through this awesome game and gained a lot of experience working with some of the best coaches and playing with the best in Australia. Waratahs coach Daryl Gibson paid tribute to both players, thanking them for their service and praising their development while playing for NSW. “Nick has been a loyal servant of the game and he has made an immense contribution to rugby in the State. He is a leader in our environment and someone who has tremendous pride in representing NSW,” said Gibson.